The Lothian Centre for Inclusive Living (LCiL) is a user-led not-for-profit organisation. We work with disabled people regardless of their impairments, people with long-term conditions and older people, parents and carers. We support people in East Lothian, Midlothian, Edinburgh and West Lothian. Provide a range of services to support Independent Living, developed and managed by and for disabled people. Support the right for disabled people to live independently and take control of their own lives. Provide the opportunity for disabled people to further their own personal and professional development. Challenge the attitudes, and the physical and social barriers that create disability. LCiL has its origins in the work of the Lothian Independent Living Group (LILG), a consumer group of disabled people, and the Lothian Coalition of Disabled People (LCDP), the former Lothian wide campaigning organisation for disabled people. Both groups were concerned with equality for disabled people and subscribed to the Independent Living philosophy. 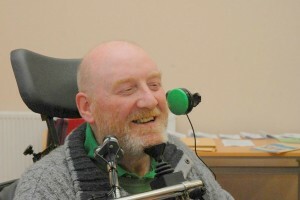 In 1989 LILG and LCDP recognised the importance of establishing an organisation that would provide a range of services based on needs directly identified by local disabled people, that would adhere to the social model of disability, and that would be directly accountable to disabled people. Three people had already convinced Lothian Region Social Work Department that they should be given money directly to employ their own Personal Assistants, and were operating their own independent living schemes as a pilot. At the same time they (and other people) were inspired by the work of CILs in Hampshire, Derbyshire and abroad, and were determined to set up a similar organisation in Lothian. In 1991 LCiL became the first organisation of its kind in Scotland, with a basis firmly rooted in the national and international disability movement.